As part of the ongoing development of our Kinship Care programme, we launched our Emergency Essentials Fund in 2017 to offer a new range of support for kinship families facing challenging financial circumstances. Big Hearts’ Emergency Essentials Fund is delivered in partnership with Buttle UK, a long established provider of crisis grants across the UK, helping Kinship Care families replace essential household items such as beds and beddings, white goods (cookers, washing machines, fridges) or furniture and kitchen equipment. 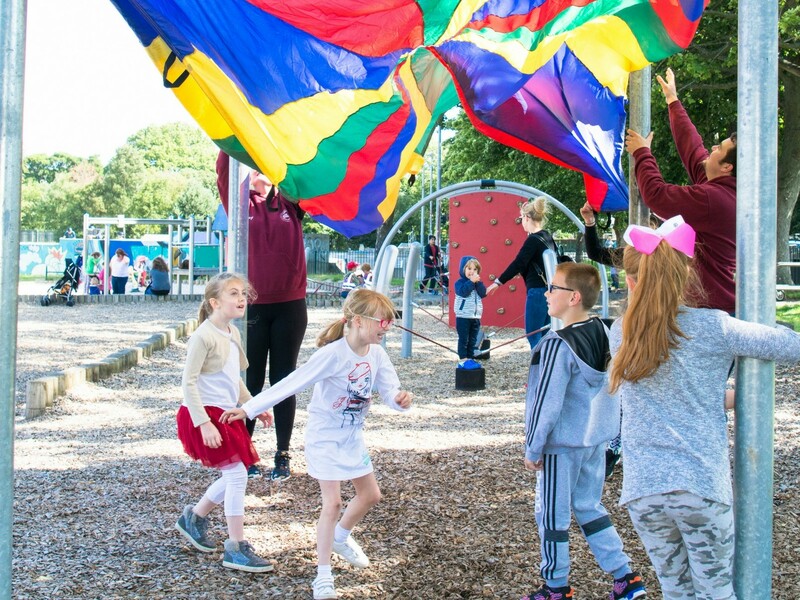 To date, and thanks to Big Hearts’ investment, Buttle UK has delivered over £29,000 in crisis grants – making a significant difference to the life of 66 vulnerable Kinship Care families, including 112 children. The latest report shows that 100% of applications received have been successful and the average grant awarded per application is £440. Families in a Kinship arrangement are entitled to apply. This also includes families who are not involved with Big Hearts and would benefit from the Fund. 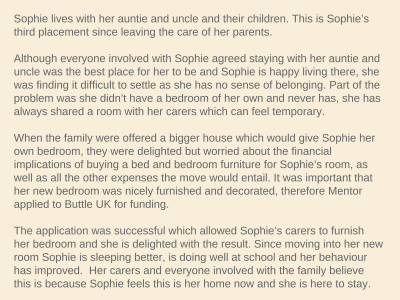 Applications must be made by a support worker on behalf of the Kinship Care family. This support worker may be a health or youth support worker or someone connected to the children’s school. Families can also reach out to the staff at Mentor Scotland, our partner in delivering the Kinship Care programme.